Bridal Bouquets - Website of halatropicalflowers! We can create your dream floral bouquet in your own unique, personal style or choose one of our beautiful bouquets. 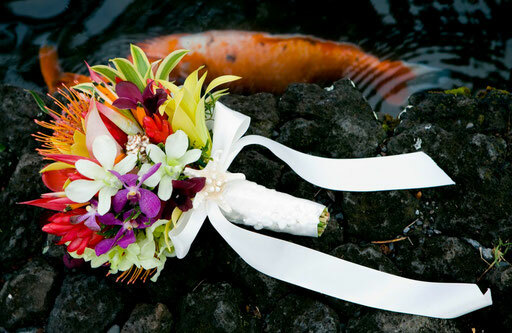 Hairflowers, Boutonniers, Haku head leis and cake flowers. 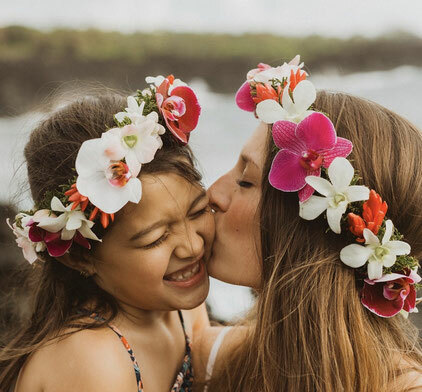 Our Hana grown orchids make lovely hairflowers. 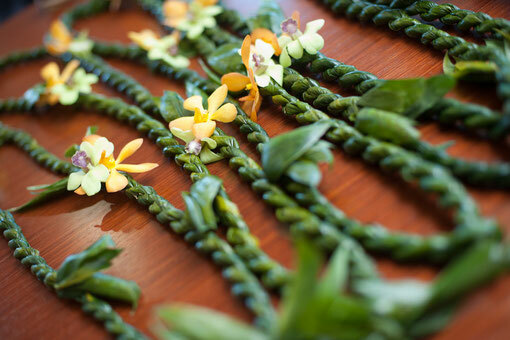 Haku head leis are a tradition in Hawaii and are so beautiful on. Cake flowers to match any floral decor for a tantilizing touch. Custom boutonnieres and wristflowers also available. 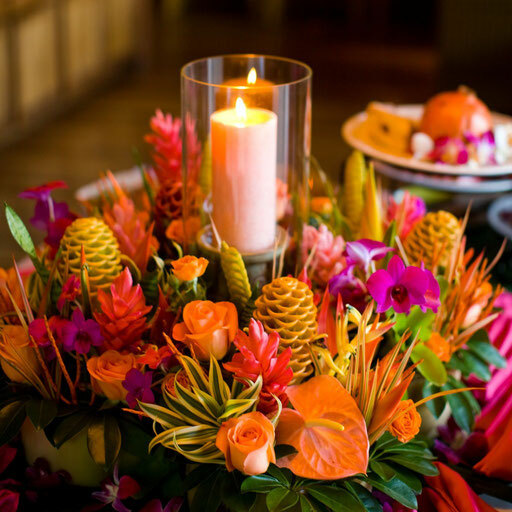 Our floral arrangements turn any party into a paradise. We specialize in unique banana stalk tropical decor. A bright and impressive array will have you in a tropical floral bliss. 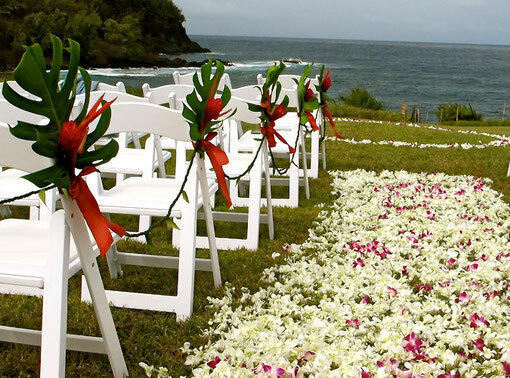 We also can help you create your own custom floral design to match any theme, color pallete or flower preference.